Teaching, Living, Sharing, Jesus' Love! Teaching, Living, Sharing, Jesus' Love. 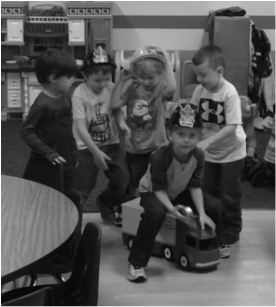 ~Free Choice Time with various learning centers to choose from: toys and manipulatives, blocks, discovery, sensory, art, dramatic play, library, writing, and readiness activities. ~Jesus Time: bible story, songs, prayer, and group activities. 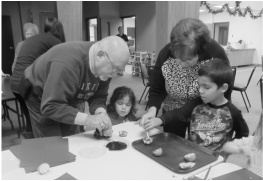 What are the opportunities for parent involvement? ~Parent newsletters, monthly calendars, and letters. ~Parent/teacher conferences are held two times during the year. 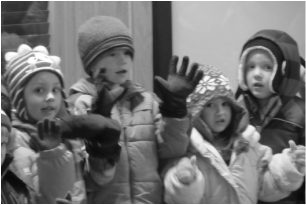 ~Opportunities to assist in the classroom and on field trips. ~Opportunities will be available for Christian Parent Education. 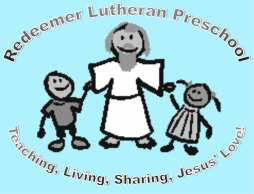 What does Redeemer Lutheran Preschool offer? wide array of activities to go with the Bible story for each week. We use the One in Christ curriculum by Concordia Publishing House. Our assessment tool uses the Minnesota Early Childhood Indicators of Progress (ECIPs), which guides our lesson planning. evaluation tool for our school's success. ~Our center is 3-star Parent Aware rated with 4-stars expected in Dec 2018 after our re-rating is completed. 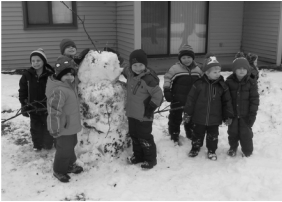 ~We feel it is crucial to include developmentally appropriate activities in all areas of our curriculum. Staff continues training to meet the requirements of a 4-star Parent Aware rating. To work together with Redeemer congregation on the goals of the church- one of which is to engage the community. Feel free to contact us with any questions you may have, either by calling us at (320) 235-4685 and asking for Rachel Jeppesen, the preschool director, or by using the form below.